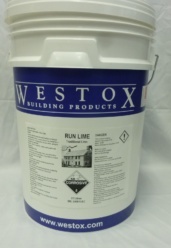 Westox Run Lime is slaked 14 days prior to sale. Fine Lime used for cornice work and lime washes. Shelf Life 3 years if not dried out.